Nothing says spring and Easter like a bird nest and Robin Blue Eggs! Decorate your holiday table with a spring blue color scheme, white tree branches and a woodsy wreath nest full of Robin eggs. 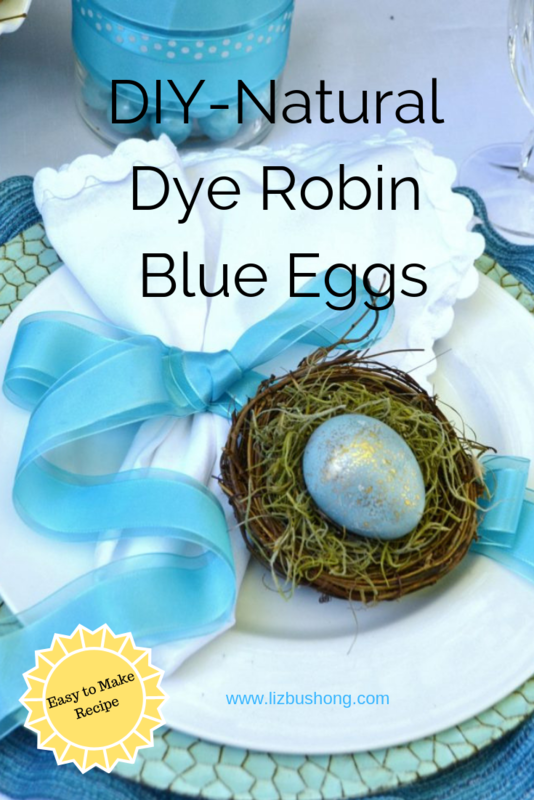 To create natural dyed Robin Blue eggs you will need a head of red cabbage, white vinegar and hard boiled eggs. Follow these easy instructions below. 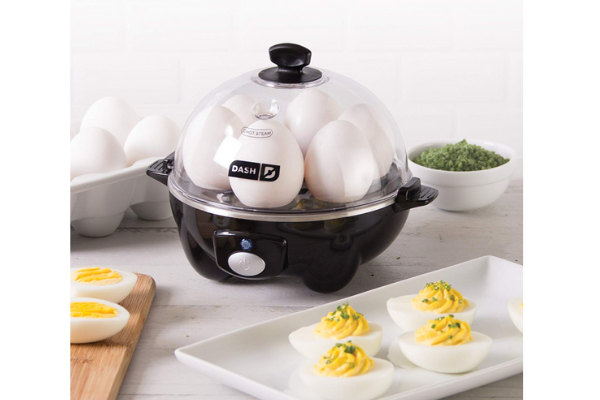 Start with hard boiling eggs, you will need a dozen for this project. 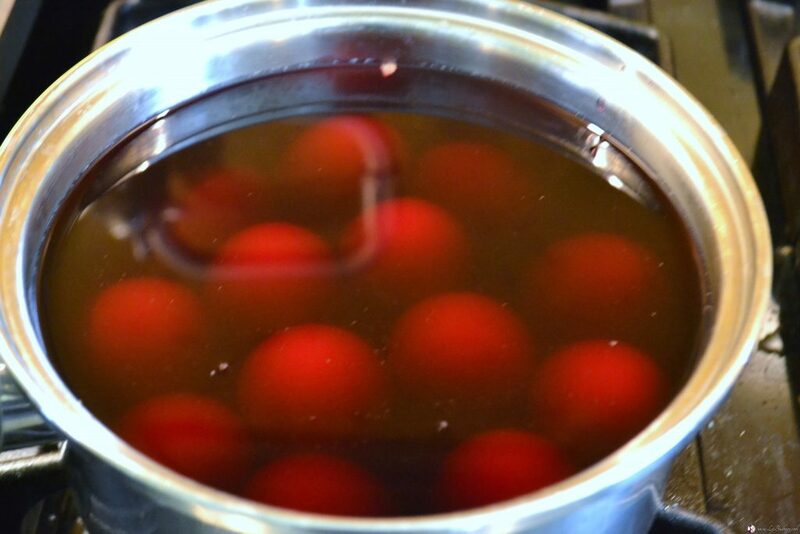 Place room temperature eggs in a large stock pot and cover with water. Bring to a boil over medium heat allow to boil 4 minutes. Cover with a lid and turn off heat. Allow eggs to set for 25 minutes. 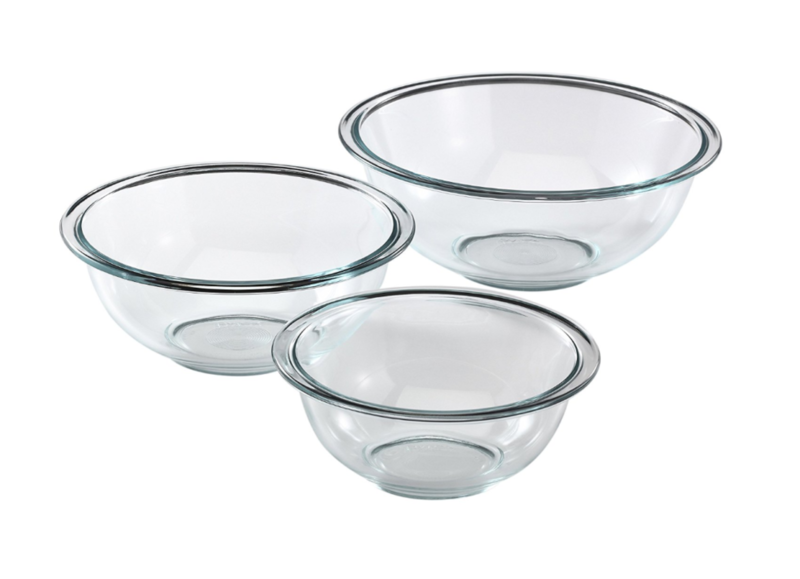 Remove lid and drain and dry eggs. Place eggs in refrigerator until ready to dye. When cooking with eggs, how do you know if you have a good egg? Here are a few tips to consider when making sure your eggs are good to go. Tip:1 If you immerse an egg in cold water and the egg floats to the top, the egg is too old and not to be used. Tip 2: If the egg once in water stands on the end vertically, but doesn’t float to the top of the water line, the egg is older but still good to eat. Tip 3: Generally fresh eggs will lay on their sides the way the eggs are in this stock pot -they are good to boil and eat. While your eggs are boiling/resting, chop one head of cabbage into pieces. Place raw cabbage in a large stock pot or saucepan and cover with 8 cups of water. Bring cabbage to a rolling boil, lower heat and let the cabbage cook until it looks gray in color. About an hour or so. Turn off heat and allow the cabbage water to cool before draining. The water will look red. I know it is strange, but it is o.k. My grandmother used to do this and sometimes she would also use brown onion skins to make dark brown eggs. I haven’t tried red onions for this blue dye but it sure would make your eyes sting. Next step, drain the cabbage and return the dye to the saucepan. Add 6 Tablespoons white vinegar to this mixture , stir to blend. then add hard boiled eggs. 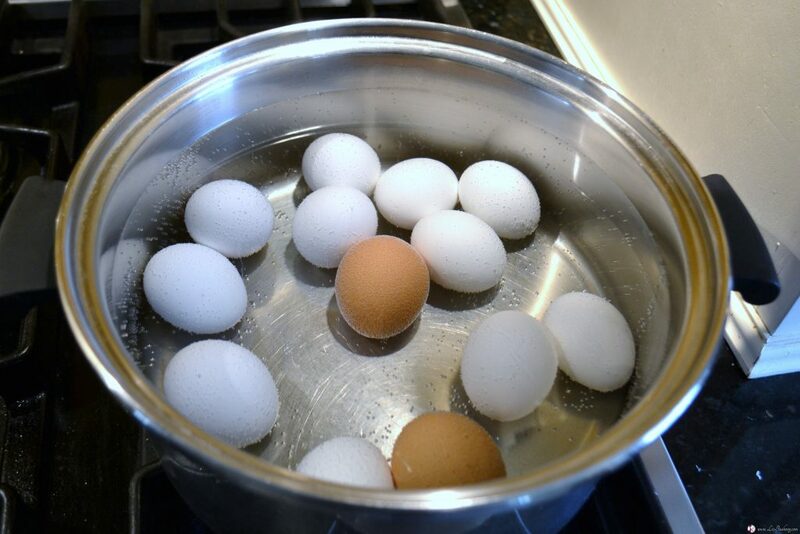 Let the eggs sit in the water at least one hour, but turning every 20 minutes so the eggs don’t over color in one spot. The heat is not on, you are not cooking these eggs again. Tip: It is best if the eggs don’t touch each other, but if your pan is small, just make sure you stir the eggs or move them around with out cracking more often so they don’t have unwanted spots from touching each other. 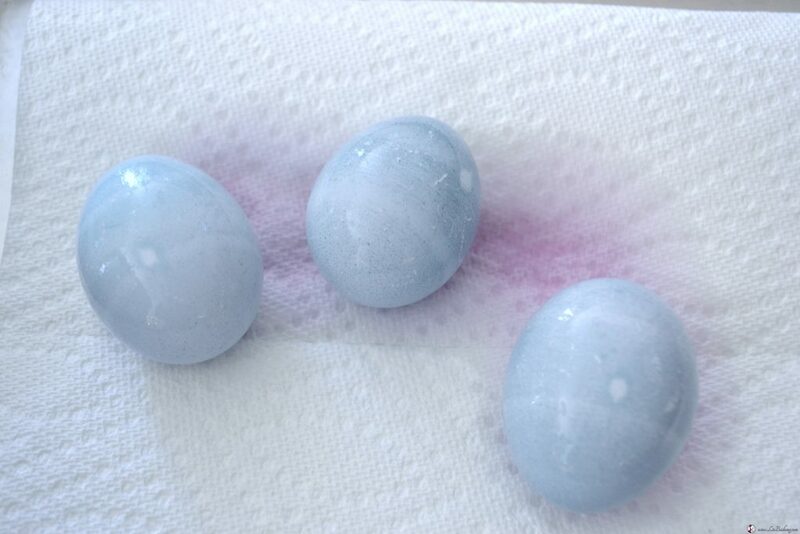 Tip2: I took out three eggs after one hour they became a pretty light blue, see photo below. To make the eggs darker, let them sit in the dye for 3- 10 hours, whatever you have time for and the deepness of color that you want. For the darkest eggs in the centerpiece, I put the saucepan with dye and eggs in refrigerator over night. After the eggs were the color I wanted, I took a slotted spoon and drained the eggs on paper towel. Do not touch the eggs while wet, I found the dye comes off pretty easy. Wait until the eggs completely dry before handling or painting. 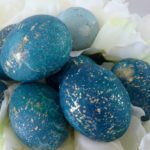 To speckle the eggs I used an edible gold air brush paint and a small paint brush to fleck the eggs. You could use gold paint to do the same if you are not planning to eat the eggs. Tip: Generally we do not eat the hard boiled eggs after dying especially if they are made a week in advance of the event, or if they are cracked in any way. Use your own wisdom on when or if to eat a dyed hard boiled egg. I usually just use them for decorating and not for eating. If you have a bunch of eggs leftover, birds will eat them, they like the shells but also the chopped eggs. If they don’t eat them then the wild critters will. 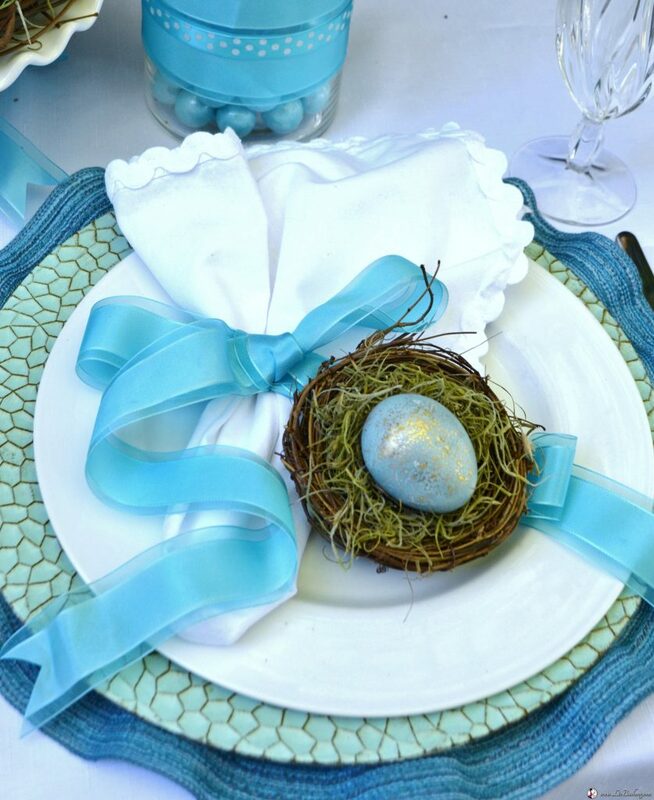 Easter baskets and table centerpieces filled with Robin Blue Eggs will delight everyone who receives them. Fresh red cabbage, white vinegar and hard boiled eggs make the Robin Blue color. Hard boil 12-14 white eggs, set aside. Bring to a boil 8 cups water in large stock pan or saucepan. Chop head of cabbage into large and small pieces, place in boiling water. Boil the cabbage until cabbage turns somewhat gray in color, then turn off heat. Allow mixture to cool to lukewarm. 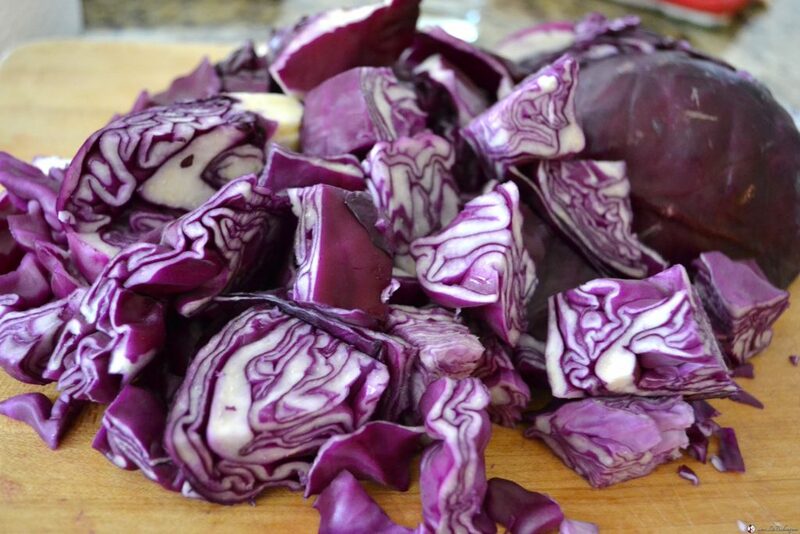 Drain cabbage from saucepan, reserve dyed water. Water will be reddish pink. Add white vinegar, stir to combine. Add hard boiled eggs, do not allow eggs to touch. Make sure dye covers the eggs entirely in saucepan. After 20 minutes gently stir eggs to turnover to dye evenly. Dye eggs the desired color, one hour up to 24. Remove eggs with slotted spoon onto paper towel, do not rub eggs. Allow eggs to dry naturally before picking up and using. Dip brush in paint and run your index finger in the brush to cause the specks. Allow to dry then repeat on other side of egg for even coverage. Allow eggs to dry before using. Be careful eating hard boiled dyed eggs, especially if they have been cracked ,damaged or longer than 1 day outside the refrigerator. I use dyed eggs for decorating purposes only and not for eating. The longer you let the eggs sit in the dye, the darker the blue. The red cabbage with the white vinegar makes the dye turn turn the eggs blue. you will think you made a mistake because the dye is red, but they will turn blue. Have fun! 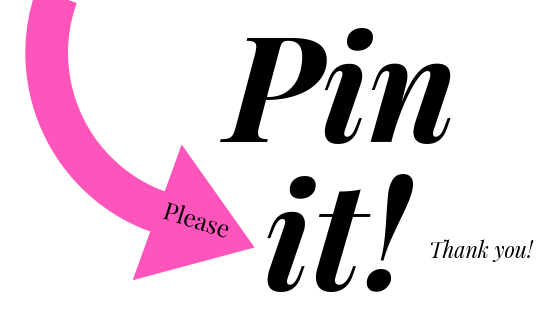 Idea inspired by Honestly Yum blog site.